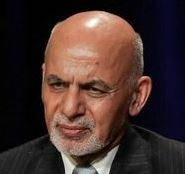 Tolo News: President Ashraf Ghani on Monday called for a grand consultative Jirga, a traditional assembly, on the peace process in the country amid Washington’s marathon diplomatic efforts to facilitate direct talks between the Afghan government and the Taliban who has been fighting against Afghan and foreign forces over the past 18 years. “At the Jirga, people will hold discussions on the nature of the peace talks and the post-peace government in Afghanistan,” said Ghani. Click here to read more (external link).